Aerison is committed to the development and retention of our people. We achieve this through performance assessment, 360° feedback, training and recognition of achievements. Applications – All applications must be submitted with a current resume. To support your application we also recommend submitting any tickets or licences that may be applicable to the position you are applying for. A phone screen is carried out prior to inviting the applicant to register and interview. Interviews – Shortlisted candidates will be informed of the interview process. We conduct phone screens, face-to-face interviews and behavioural based interviews. Validation Checks – Candidates are required to provide proof of ID, qualifications/certificates, tickets and licences. A minimum of two reference checks are conducted on each candidate Check may also include a Police Clearance and/ or Department of Immigration and Citizen check if required. Medicals – All potential employees must successfully complete the pre-employment medical and drug and alcohol assessments. Talent Pool – We continuously update and maintain the data integrity of our applicant and employee database. 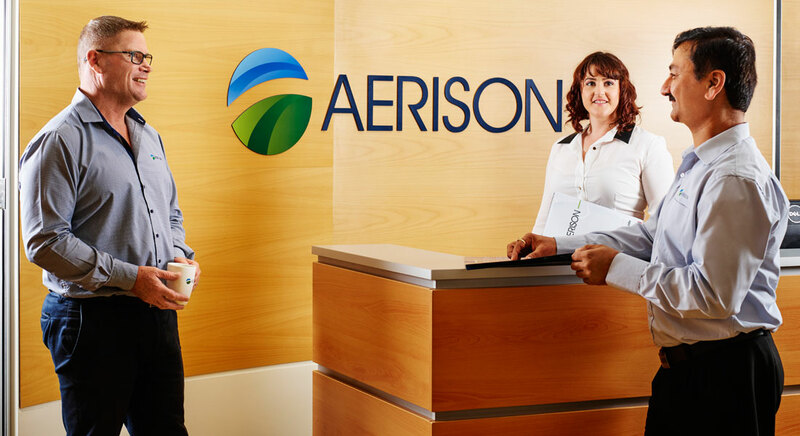 At Aerison we are committed to our people and there is no limit to their growth and development within our business. We offer a range of apprenticeships, graduate programs and internships all the way up to experienced professionals with opportunities for all career levels. Explore the potential and apply with us today!